LOCATION.--Lat 43°03'27", long 76°09'45" referenced to North American Datum of 1983, Onondaga County, NY, Hydrologic Unit 04140201, on right bank 450 ft upstream from bridge on Spencer Street in Syracuse, 1,200 ft upstream from Erie (Barge) Canal terminal, and 1.0 mi upstream from mouth. PERIOD OF RECORD.--Occasional discharge measurements, water years 1958-70. September 1970 to current year. REVISIONS HISTORY.--WDR NY-72-1: 1971 (M). WDR NY-75-1: 1972 (M), 1974 (M). WDR NY-81-3: Drainage area. WDR NY-89-3: 1971-72(M), 1974-80 (M), 1982-84 (M), 1986 (M), 1988 (M). GAGE.--Water-stage recorder, crest-stage gage, and concrete control. 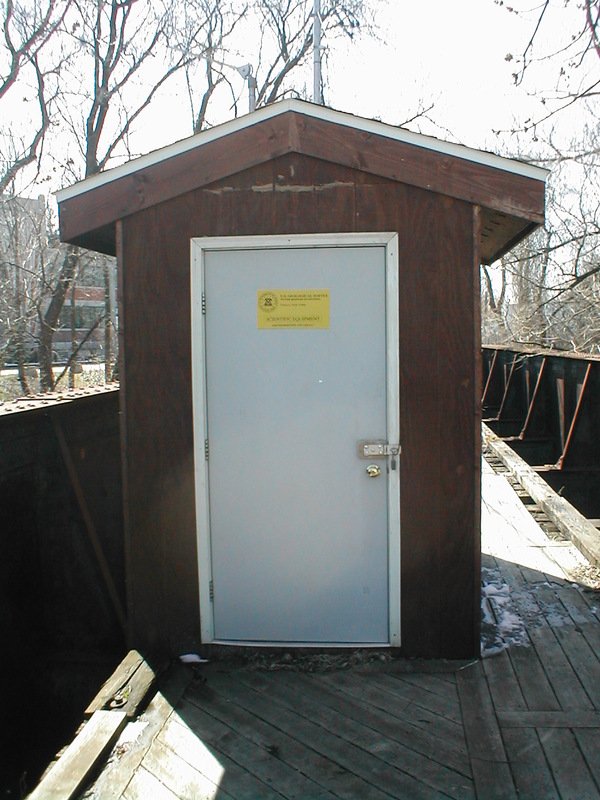 Datum of gage is 362.29 ft above NGVD of 1929 and 361.72 ft above NAVD of 1988 (VERTCON). REMARKS.--High flows regulated by Onondaga Reservoir. Flow may be affected by backwater from Onondaga Lake at times when the lake elevation exceeds 365.00 ft.
EXTREMES FOR PERIOD OF RECORD.--Maximum discharge, 4,050 ft³/s, July 3, 1974, gage height, 8.73 ft, from rating curve extended above 1,700 ft³/s on basis of runoff comparisons with nearby stations; minimum discharge, 20 ft³/s, Sept. 26, 1985, gage height, 2.16 ft.